Previous leaks have strongly hinted that Samsung is preparing a redesign of TouchWiz, the user interface that is pre-loaded on its Android mobile devices, and that appears to include a feature that is reminiscent of Google Now. A new image posted by @EvLeaks suggests Samsung is taking cues from Google’s personal assistant with a card-like interface that includes information about a user’s location, recent purchases, flight information, recent exercise activity, the local weather/temperature and other details. 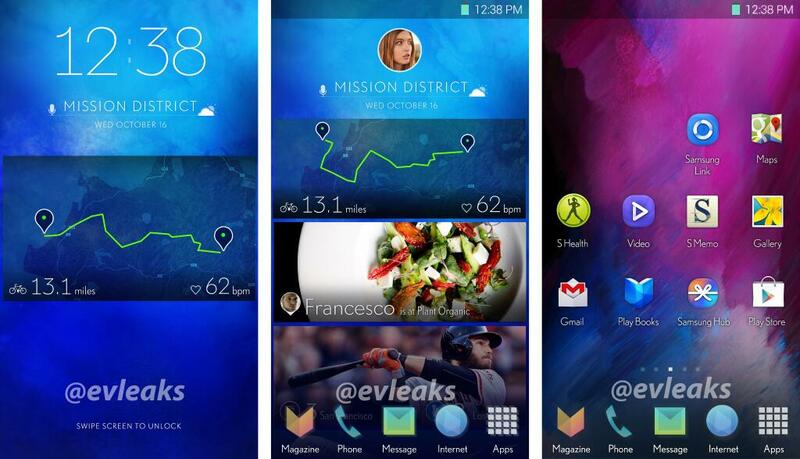 TouchWiz is regularly criticized for being cluttered, ugly and slow. Coupled with the previous leak (below), the design seems far more organized and attractive, while it has the potential to be genuinely useful, rather than simply Samsung bloatware. Watch this space.